FIRST IN NATION: Gov. Ige and legislators made Hawai’i the first state in the nation to enact laws that align with the Paris Climate Accord. 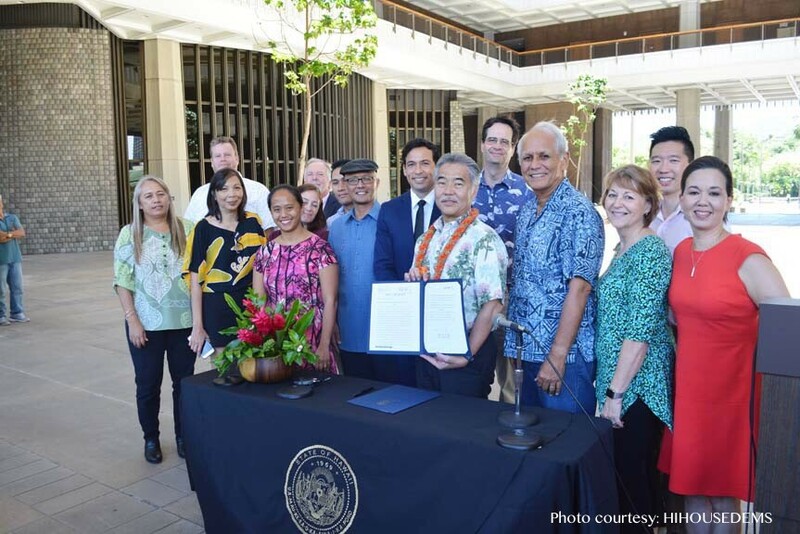 • Hawai‘i leads nation in fighting climate change – In 2017, Governor Ige signed Act 32 into law, making Hawai‘i the first state in the nation to commit to implementing the goals of the Paris Climate Agreement. The state has been widely recognized as a clean energy leader. • More state leadership on sustainability – The Ige administration has delivered other “firsts” to protect the islands’ natural resources: a far-reaching Sustainable Hawai‘i initiative to manage priority watersheds, protect nearshore ocean waters and increase local food production; the state’s first Interagency Biosecurity Plan to combat threats from invasive species; and the first “pest hotline” for local residents to report pest sightings and a DLNRTip app for resource violations; the first-ever statewide Coral Bleaching Recovery Plan; and the first Sea Level Rise Vulnerability Report from the state’s Climate Change Commission. • Agriculture expanded statewide – Since the governor took office, the state, through the Agribusiness Development Corporation (ADC), has doubled its land inventory to own more than 2,500 acres of former pineapple and sugar plantation lands. ADC has more than 500 acres in production and expects to increase to 950 acres of ag production with more than 50 new farmers. 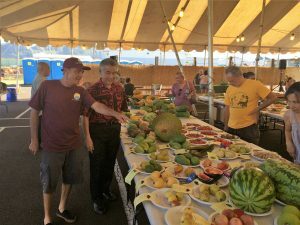 • Landmark organic food production tax credits established – The governor signed into law Act 258 — the first of its kind in the nation — to help Hawai‘i farmers defray costs of organic production and maintain certification. • National recognition for clean energy initiatives – National energy efficiency experts honored Hawai‘i with its “Race to the Top” award for the pioneering work being done by state and county agencies to boost investment in energy efficiency projects. • New projects statewide to create a “green energy” future – From solar farms and other alternative energy projects to a plan to use seawater to cool seven state office buildings and the state Capitol, Hawai‘i is making significant progress on its renewable energy goals for a “triple bottom line” of more local jobs, lower taxpayer and consumer costs, and environmental benefits. The preliminary agreement with Honolulu Seawater Air Conditioning should result in efficiencies at no additional taxpayer cost. 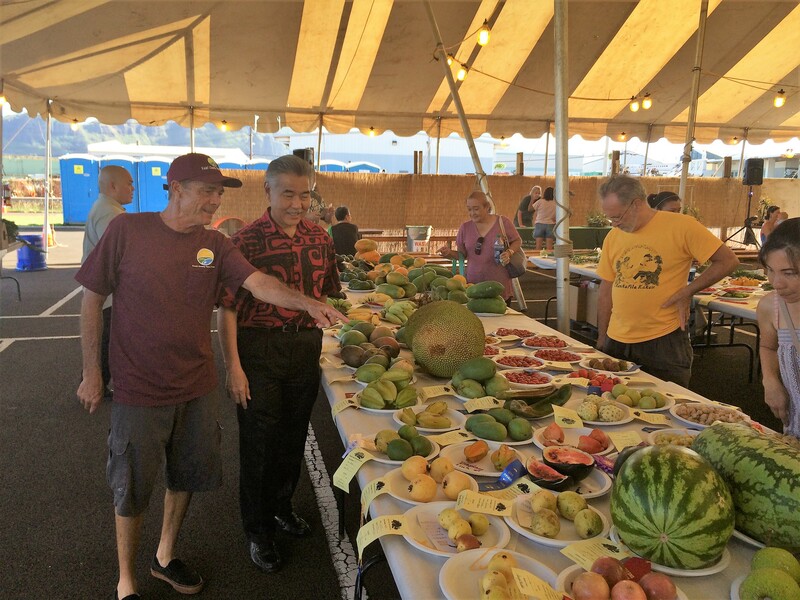 – Since the start of his administration, Governor Ige reported residents and businesses statewide saw more than $95 million in first-year savings on their utility bills by reducing energy use through Hawai‘i Energy programs.